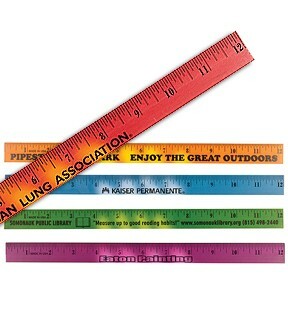 Size: 1/8 x 7/8 x 12 <br />Custom Size Rulers: Call factory for a quotation. Pricing Includes:Straight line ad copy printed in one color on one side. Multi Color:$50.00/M. (G) or less, per color, per side. No close registration. Second Side Print:Add $50.00/M. (G) or less, on new and reorders.